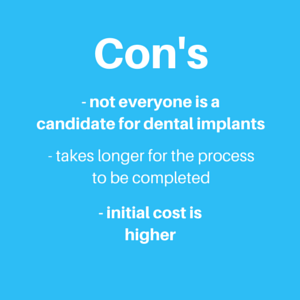 Why should I receive Dental Implants? In the past, when someone lost one or more of their teeth, there was no sustainable long-term replacement measure aside from dentures or dental bridges. Since the addition of dental implant technology, there is now a way to replace missing teeth using a natural looking and permanent alternative. The dental implant treatment involves the removal of the defective tooth and the placement of the dental implant followed by the fitting of the crown. What makes them the best tooth replacement treatment? Compared to bridges and dentures, dental implants assist in maintaining healthy gums and jaw bone which otherwise can start to shrink in size with time. The jaw bone, like other bones in the body, requires stimulation to keep it healthy otherwise, the bone feels it is unused and shrinks over time. This can lead to further tooth loss and may lead to periodontal disease if left untreated. Does the gap in your smile cause you to feel embarrassed? Sharing your smile has a range of benefits that can impact your overall health and wellbeing. How smiling can help you? When it comes to improving your health and well-being, smiling can benefit you in some ways. Research has shown that people who smile and laugh more are less likely to develop heart disease. Smiling is known to help the body to relax, consequently lowering the heart rate. Smiling has also been proven to reduce stress levels, countering stress hormones with the release of endorphins. Are your missing teeth affecting your smile? 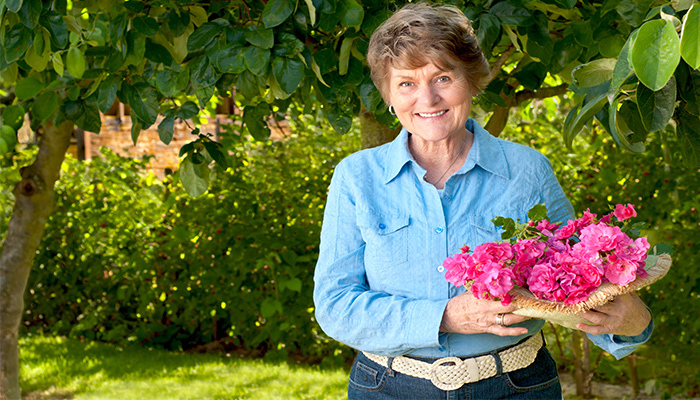 Find out how our Armidale dentists here at New England Dental in NSW can help you feel more comfortable smile with dental implants. 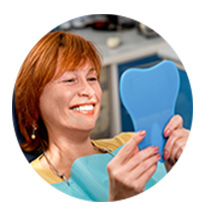 Book a dental implant consultation with our friendly team today. Our priority is providing you with quality dental care, to help you preserve your teeth now and in the future. Prevention is always better than the cure, so at New England Dental Group we recommend finding the time to visit us for regular check-ups and a clean every six months. These check-ups provide us with the ability to detect any potential problems quickly and efficiently. In the long run, this saves you in toothaches and money on restorative procedures. Regular dental check-ups are important as they help keep your teeth and gums healthy. During your check-up your dentist will assess your overall oral health and expose any “problem areas”, recommending the most effective way to tackle these issues before moving on to the clean and scale. The clean and scale will remove any plaque and tartar build up that has occurred. The dental check-up should include an examination of your gums, tongue and throat. Check-ups are the first step to finding out why you may be experiencing tooth sensitivity, or detecting oral cancer, or discovering why you suffer from a dry mouth or bad breath. Many people avoid booking a check-up or consultation due to embarrassment. At New England Dental Group here in Armidale, we aim to provide a relaxing, safe environment for our patients to enter so you can feel at ease. What should you do between visits? For optimal oral health, you can’t leave cleaning to your dentist alone. Maintenance is required between your dental visits. Plaque is constantly forming on your teeth; every time you consume food or drink you add to the build-up. Use a mouthwash after brushing to help get rid of plaque, this also aids breath freshness. Cavities: occurring when plaque combines with the sugars and starches in foods we eat. These acidic substances are produced and attack the tooth enamel. To avoid, consume healthy foods and drinks like milk and water. Gum disease: Infection in the gums surrounding the teeth – gum disease is the main cause of tooth loss among adults. Gingivitis can be addressed with minimal intervention, however, advanced gum disease may require surgery. Did you know gum disease has been linked to heart attacks and strokes? Mouth sores: Canker sores, fever blisters, cold sores, ulcers and thrush are not only annoying but may be an indication of a more serious medical issue. You should contact your health care provider promptly with any concerns. Oral cancer: Quite serious and can be deadly. This disease affects millions of people. Every year hundreds of thousands of new oral cancer patients are diagnosed. Most oral cancers tend to spread quite rapidly. 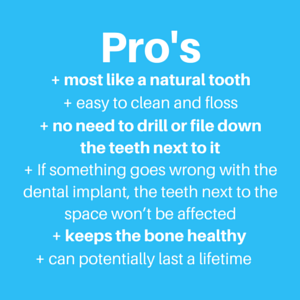 Preventative oral check-ups are simple yet comprehensive appointments to ensure your smile stays healthy for years to come. Contact us to book your next visit. Throughout the developing stages of pregnancy, your body will show signs of some hormonal changes. During this time, many women experience changes to their dental health, often developing inflammation of the gums and gingivitis. It is important that you do not skip your regular check-up with the team at New England Dental Group just because you are pregnant. Normal consumption of food and drinks causes the bacteria naturally occurring in your mouth to interact with the starches and sugars from what you’ve eaten. This thin film of bacteria on the teeth and around the gums is known as plaque. Typically speaking, unless removed with regular brushing and flossing, this plaque and its hardened form (known as tartar) can lead to the inflammation of your gums and a form of gum disease called gingivitis. Gingivitis can lead to tooth decay and in some cases even a loss of teeth if treatments are ignored. Throughout the stages of pregnancy, it is quite common for many of our patients to experience some signs of dental disease. During pregnancy, a woman’s hormone levels are constantly changing. This can cause a higher risk of plaque developing around the gums and mouth which leads to gingivitis. Gingivitis may cause inflammation and bleeding of the gums and is most noticeable in the second month of your pregnancy and may continue to develop up until your eighth month of pregnancy. An increase of blood flow around the body during pregnancy can also increase the chances of developing gingivitis. Other factors such as cravings, morning sickness, and neglect can cause your gums to bleed. If you do notice gum inflammation or bleeding gums, visit your dentist for a check-up so we can gently assess your oral health and equip you with the tools to recover. In recent and ongoing studies, researchers are finding that there is a link between gingivitis and the occurrence of premature births. Premature births are commonly associated with causing a wide range of health issues such as attention deficit hyperactive disorders (ADHD), cerebral palsy and anxiety. The link between gingivitis and premature births suggests that the plaque built up on gums travels through the blood stream and into the uterus producing chemicals called prostaglandins. There is evidence to suggest this process can impact whether or not a pregnancy lasts through to full term. If you have any concerns about your dental health and would like to find out more information on how dental diseases can affect your pregnancy, call us to book a consultation on (02) 6771 2283 or click here. You can also read more about this topic by visiting the Better Health Channel page. These days, whitening your smile is easy to do and can make such a difference to your appearance. Ask yourself this question: Would you be happy if your smile was broadcast to the world as it is at the moment? 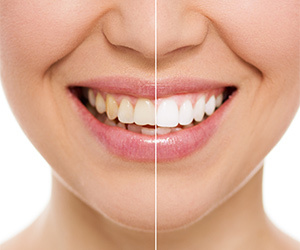 Are there some discoloured teeth or small imperfections you’d fix if you had the opportunity? New England Dental Group in Armidale has an easy to use at-home solution for discoloured teeth – the Erskine Designer White Teeth Whitening System. Read on to find out why a whiter smile is beneficial for you. Those with whiter teeth versus those with discoloured teeth tend to appear healthier because white teeth can be credited towards responsible oral hygiene and dietary habits. Whiter teeth can also make the gums and lips seem more pink which gives your smile radiance. A bright smile is a powerful asset in the workplace environment. Studies have shown that those with whiter and straighter smiles are able to make more sales and develop better relationships with colleagues. Why not enliven your career by easily brightening your smile in the comfort of your own home? Stains on the teeth or discolouration can affect a person’s confidence. With pearly whites, the boost in confidence can bring your smile out of hiding and can improve your whole appearance and demeanour. With a radiant white smile, you may find yourself with the confidence to step up where previously you hung back out of self-consciousness. The latest technology, designed to give you stunning, natural, white smile, is available in Armidale at New England Dental Group. Dr Geoff Henzell, our highly experienced dentist, will take a dental impression of your teeth so that a whitening mould can be created that fits your teeth perfectly. The Erskine Designer White Teeth Whitening System is explained in full so that you can achieve the best results in the comfort of your home. To start your journey towards a more vibrant, whiter and brighter smile, contact the friendly team at New England Dental Group today. Do you want to give your teeth a makeover? Dental crowns and veneers can restore the appearance of cracked, damaged or crooked teeth. Dr Geoff Henzell at New England Dental Group in Armidale can provide expert treatment to renew your smile. If you are thinking about having your teeth restored, we have some helpful information about what is involved. What is a dental veneer and dental crown? A dental veneer is a porcelain shell that is bonded to the surface of a tooth to conceal stains, discolouration, cracks and gaps. 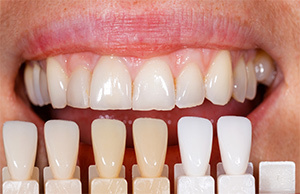 Veneers are applied to the tooth with a unique adhesive and are shaped to match the appearance of your smile. A dental crown is a sleeve made of ceramic that restores the look and function of a tooth that is severely cracked or damaged beyond repair. In previous years, a crown was made of metal which produced unsightly dark lines where the crown meets the gum line. The introduction of the ceramic crown, however, means it is barely visible. You will need to allow for at least two visits to the dentist for tooth restoration treatments like veneers and crowns. During the initial appointment, a dental impression will be taken of your teeth. This impression or mould is a guide for the correct creation of the veneer or crown. Your dentist will send the mould away to a dental lab for the restoration to be made, which may take a few weeks depending on how many veneers or crowns you need. The follow-up appointment will be for your dentist to bond them in place, restoring your winning smile. Our teeth have a natural dental enamel layer which is translucent. This allows for light to enter the tooth, which bounces off the dentin layer and gives off the brightness you see when someone smiles. While the composite resin material used in some restoration treatments is tooth-coloured, it is a dense material which does not allow the light to penetrate it. Porcelain, however, has that translucent quality which emulates our natural enamel, making it a perfect substitute. Ceramic is a good option if you need an alternative to porcelain. To enable the crown or veneer to fit seamlessly on your tooth and in line with your other teeth, your dentist may need to shave off a tiny amount of the dental enamel layer from your tooth. This kind of damage to your tooth won’t last long, though, as the crown or veneer will function as this layer once it has been bonded. The problem to be mindful of, however, is breaking or chipping the restoration. If this were to happen, it is recommended that you replace the veneer or crown as soon as possible so that your teeth are not vulnerable to infection or suffer from sensitivity. 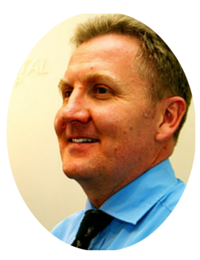 Take a look at our Smile Gallery for examples of Dr Geoff Henzell’s successful results. With 30 years’ experience in the field, Dr Henzell has performed smile makeovers with crowns and veneers for hundreds of patients. He has a particular interest in aesthetic and restorative dentistry. If you are in the New England area and would like your crooked, chipped or discoloured teeth expertly restored, contact our friendly team today to arrange a consultation. In light of recent dental industry news, New England Dental in Armidale requested to be reviewed by the ADA. We have been reassured that our practice is consistent with the regulatory guidelines set by the Australian Dental Association. At New England Dental in Armidale, Dr Geoff Henzell has been licensed to practice dentistry for over 30 years – so there is no need to worry about your dental appointments with us. Dr Henzell is a registered member of the Australian Dental Association (ADA) with a Bachelor in Dental Science attained at the University of Queensland in 1984. He has over 3 decades of experience in dentistry and continues to remain abreast the latest technology and emerging treatments through post-graduate education. Here in Armidale, we will work together to get to know you and assess your needs so that we can better diagnose conditions. Dr Henzell and his team offer a number of different treatment options and anaesthetics so that you can feel more relaxed during your treatment. Do you have one or more missing teeth? You are not alone. A national survey carried out in Australia in 2010 surveyed a number of Aussies over the age of 15. The survey revealed that participants from 15-65+ years old were, on average, missing around 5.5 teeth. Find out more about the survey results here. Dental implants are fabricated from true and tested materials that are designed to replace missing teeth permanently. This treatment, made from bio-compatible materials, replaces the entire tooth root and crown for the patient. The results are seamless and aesthetically natural-looking. A scale and clean is important for removing tartar that accumulates in areas on the teeth. This thick substance is a result of plaque that is missed when brushing and flossing. Once it hardens, it can no longer be removed with a general hygiene routine and must be removed by a dentist. Don’t risk dental visits with fake dentists that could potentially ruin your smile for life. Dr Henzell has over 3 decades of experience in the industry and offers anaesthetics to patients who require anxiety relief during treatment appointments. For more information or to book a consultation, contact our team in Armidale today. 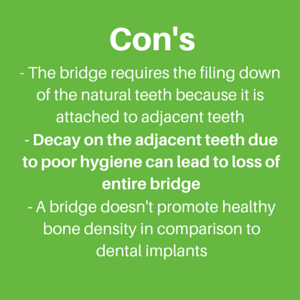 What are the pros and cons of dental implants vs bridges? Are you missing teeth? You are not alone. A national survey carried out in 2010 revealed that people of all ages suffer tooth loss due to a number of different causes. As you can see in the table above, tooth loss is a very real problem for Australians. So how can you replace your teeth? Here at New England Dental we provide two main solutions for tooth loss: dental implants and dental bridges. We are often asked questions about the difference between dental implants and dental bridges, and what makes one treatment better than the other? Allow us to clear the air with the following comparison. So, should I choose a dental implant or a bridge? 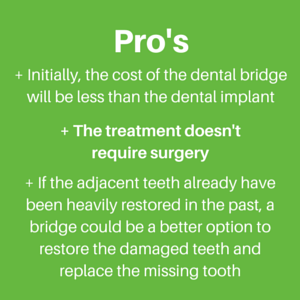 Although the initial cost of a dental bridge is less compared to a dental implant, eventually the bridge will need replacing. Other factors like bone recession and the risk of poor oral hygiene due to the inability to brush and floss effectively can cause detrimental health concerns for the patient. On the other hand, patients who have heavily restored teeth adjacent to the missing tooth may benefit from a dental bridge instead. We recommend that patients organize a consultation with Dr Henzell so that he can assess the health of your smile and provide you with advice on your best course of action for treatment. The most common reason why someone may not be a suitable candidate for dental implants is lack of jaw bone density. The implant may not be supported without a dense enough jaw bone which may lead to implant failure. During your consultation, Dr Henzell will take special care to assess the jaw bone prior to commencing treatment so that your dental implant will have a high chance of success. Do you need to replace one or more of your teeth? Book a dental implant consultation with Dr Geoff Henzell at New England Dental in Armidale. Dr Henzell has over 30 years of experience as a dentist and offers happy gas (nitrous oxide) and local anaesthetic as pain relief options for patients who suffer from dental anxiety. For more information, or to book a consultation, contact Dr Henzell at New England Dental in Armidale today. Back in the day when someone lost one or more of their teeth there was no sustainable replacement measure aside from dentures or dental bridges. Since the addition of dental implant technology, there is now a way to replace missing teeth using a natural looking and permanent alternative. The treatment involves the removal of the defective tooth and the placement of the dental implant followed later by the fitting of the crown. Dental implants have a number of benefits for the patient. Dental implants are strong and durable. Compared to bridges and dentures, dental implants help to maintain healthy gums and jaw bone which otherwise can start to shrink in size with time. The jaw bone, like all other bones in the body, requires stimulation to keep it healthy otherwise the bone feels it is unused and shrinks over time. This can lead to further tooth loss and may lead to periodontal disease if left untreated. Patients sometimes feel that the gap in their teeth is causing them to shy away from smiling. Sharing your smile has a range of benefits that can impact your overall health and wellbeing. It has even been proven to help with landing a date and moving forward with your career. When it comes to improving your health, smiling can benefit you in a number of ways. Studies have shown that people who smile and laugh more are less likely to develop heart disease. This is thought to be because smiling helps the body to relax, lowering the heart rate. Smiling has also been proven to reduce stress levels, countering stress hormones with the release of endorphins. It can encourage others to trust you, help alleviate pain, inspire confidence and attract a partner. Root canal therapy is a commonly misunderstood treatment. Read on to find four common myths dispelled. Below are a few of the myths that surround root canal therapy. The professionals at New England Dental in Armidale NSW can help you with all of your dental needs. 1) Root canal therapy is extremely painful. In actual fact, root canal therapy doesn’t cause pain, it relieves it. Thanks to modern developments in dental technology, a root canal usually won’t be any more painful than a routine filling. A recent survey showed that patients who have undergone a root canal were six times more likely to describe the procedure as being ‘painless’ than patients who hadn’t ever undergone a root canal. When it comes to your teeth, preserving your natural ones is always more desirable than extracting them or replacing them with false ones. Once an extraction has been performed, it is beneficial that the tooth be permanently replaced. If the tooth is not replaced, it can cause an array of subsequent problems ranging from supraeruption, shifting of surrounding teeth and deterioration of the gum. Performing a root canal therapy is less expensive than an extraction and often the saved tooth can last a lifetime if properly cared for. A root canal therapy does not involve removing the root of the tooth. Instead, the process involves inflamed or dead pulp being removed from inside the tooth, saving the tooth from further pain and infection. The ‘pulp’ is the soft tissue in the canal that runs through the middle of the tooth. Once the tooth is fully formed it can actually function properly without the pulp, which is why it can be removed and the tooth can still be kept for a lifetime if properly cared for. Once the dead pulp has been removed from the tooth’s canals, the canal is then cleaned, disinfected, and sealed with a strong material in order to prevent further infection. The tooth might also need a crown to restore the strength of the tooth so there is less chance of it fracturing. A root canal therapy can actually be a long term solution if properly cared for. If you maintain the health of your teeth and gums through daily brushing and flossing, your tooth will last for a lifetime. It is also imperative that you attend regular check-ups at the dentist to ensure that your teeth are properly being cared for. It is commonly suggested that you visit your dentist for a check-up and clean every six months. If you are suffering from an uncomfortable or painful tooth, it is important that you visit your dentist as soon as possible. If you leave the toothache too long, you may end up losing the tooth permanently, which can lead to an array of further complications. Don’t let dental fear stop you from visiting the dentist. We take extreme care in all of our procedures so that you will feel safe and comfortable throughout your treatment. Contact us at New England Dental in Armidale NSW for a consultation today. When it comes to your teeth, it is imperative to maintain your oral hygiene in order to prevent the need for more serious dental complications in the future. There are a number of ways that you can take care of your teeth to ensure their health and longevity so that you can keep your natural smile for a lifetime. At New England Dental, in Armidale NSW, we are always here to assist in the maintenance of your oral health. We offer a number of different preventive dental treatments that are quick and comfortable. Even though you may be very diligent in brushing and flossing your teeth at home, often tartar and plaque will build up in places that are too difficult to reach without the help of your dentist. Having your teeth cleaned by a dentist is a simple and painless process and plays a big role in helping to maintain the health of your teeth. The process involves your dentist working away at the build-up of plaque on the teeth by carefully using particular instruments, followed by polishing the teeth to leave you with a nice clean feeling, and lastly your dentist may apply some fluoride to the teeth to help strengthen them. Your dentist will also inform you of any areas that are in need of more attention so as to avoid the build-up of plaque in the future. Screening for Oral Cancer is a simple process. Often the process will involve your dentist looking over the inside of your mouth to check for sores in the mouth or patches that are red or white in colour. Your dentist will also examine the tissue in your mouth to check for any abnormalities. While many people will form sores in their mouth for one particular reason or another, most of these will be noncancerous. An oral exam cannot explicitly determine which sores may be cancerous, but it can help to detect abnormal sores early so that you can undergo more accurate testing. This usually involves removing a small amount of the abnormal cells in order for them to undergo a biopsy. A dental X-ray may be used for many different reasons, mainly to provide your dentist with a proper view of the tooth and the surrounding structures that may not be visible to the naked eye. Through an X-ray your dentist will be able to determine bone levels that support the teeth, signs of infection and existing cavities. Although your dentist can help you keep your teeth in optimum health, it is important that you take measures to maintain the health of your teeth at home, this determines how often you will need to come and see us! The best way to do this is to brush your teeth twice a day, every day, and make sure to floss at least once a day. If you feel like your teeth are in need of a clean, don’t hesitate to call us to arrange a consultation at our Armidale dental practice. For more information on the preventative treatments we offer, take a look at our Preventative Care page.